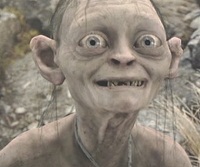 Yes, I have seen and took pleasure in Peter Jackson's Lord of the Rings trilogy. However, no, haven't had a chance to watch any of the 3 again since seeing them in the theater. And no, I haven't ever read J. R. R. Tolkien's "The Hobbit". Although, I've added it to my Audible.com queue, or what they call "Wish List". Therefore, I'm basically unqualified to truly review The Hobbit: An Unexpected Journey. So I went to TheOneRing.net - forged by and for fans of J.R.R Tolkien, to see what they had to say about this much anticipated prequel. There's a lot there - including 12 things they like and dislike about the movie. And a wonderfully written fan's perspective review of the film (see preview of that review below). I encourage anyone unfamiliar with the site to check it out! You know I have trouble with most 3D movies, it just takes my eyes too long to adjust. The exception being Rise of the Guardians (click for T & T write up), which really suited the illustrations and truly enhanced the characters. Halfway through The Hobbit the 48 frame 3D effects took affect on me and I could appreciate the depth and breath and feats taking place once the dwarfs are captured and taken to the Great Goblin's lair. 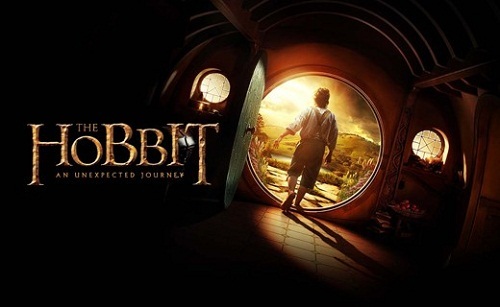 Although this is Bilbo Baggin's (Martin Freeman) journey (Frodo's Uncle), the Dwarfs are the main focus of this movie. 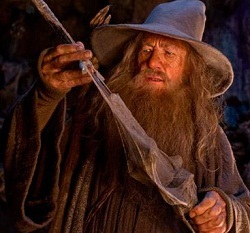 And Gandalf (Ian McKellen) has a much larger role than he does in any of The Lord of the Rings movies. Basically, the nation of dwarfs or dwarves of Middle-earth lived in and around a huge, elaborate, inner mountain kingdom called Erebor; which was ruled over by Dwarf King Thror and his son Thrain and his son Thorin (Richard Armitage). After eons of peace and tranquility, a fierce-some dragon called Smaug swoops in breathing fire, as dragons are want to do "pollutes" the kingdom and takes it over for himself. Smaug would never have been attracted to the Dwarf Kingdom, had it not been for King Thror's miserly obsession with the gold mined at Erebor, allowing in darkness. And we all know dragons love nothing better than negative energy and gold. Before the Dwarfs can even formulate a plan to oust Smaug, those nasty, white candle wax looking Orcs think they can best the dragon and take the kingdom. So first the Dwarfs have to battle Orcs, which really takes its toll on the Dwarf population and those that survive wander around Middle-earth without a home base. 12 of those Dwarfs follow young king Thorin in his quest to one day regain control of Erebor. 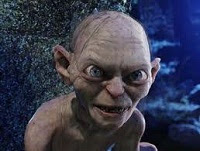 My favorite part of the movie is of course crazy, creepy, precious, two-faced Gollum (Andy Serkis) and the game of Riddles he plays with Bilbo. My least favorite part of the movie is the constant peril. There's very little down time between fighting, running, falling and escaping. I really wished we could stay at the Elvish City long enough to catch our breath. Still, all-in-all, looking forward to vols 2 & 3. Follow Link to see more Middle-Earth Recipes, add your own and vote!